Unfortunately, hypnosis and hypnotherapy got off to a bad start. Frederick Anton Mesmer’s exaggerated claims for hypnosis made it difficult for medicine to accept hypnosis for over 150 years. Stage hypnotists who “turn people into chickens” through hypnosis don’t help hypnotism. It wasn’t until 1957 that the American Medical Association endorsed hypnosis as a valid treatment. The job of correcting misunderstandings about hypnosis is still ongoing. Here are a few commonly asked questions (and answers) about hypnosis. Hypnosis is a distinct, altered state of consciousness. You are not asleep. You are not awake. You are in a “trance” for lack of a better word, a state of mind in which you can free your mind from constraints. The sensation of hypnosis is described as relaxing, blissful, dreamy or “I just felt different”. Hypnotism is the process of inducing a hypnotic trance or state of hypnosis. Hypnosis is not about being under someone’s control. Hypnosis puts you in control. Movies and stage hypnosis shows give an incorrect image of hypnosis that sadly stops many people from getting help they need from a qualified, consulting hypnotist. Hypnosis increases your suggestibility and concentration. Hypnotherapy makes use of these qualities to remove limiting, unproductive beliefs and perceptions and replace them with new attitudes, feelings and habits. Hypnotherapy is performed by a qualified therapist, often a licensed mental health professional such as a psychiatrist, clinical social worker or psychologist. What are HypnoCoaching® and Hypnotic Coaching? Hypnotic Coaching (also known as HypnoCoaching) combines personal coaching and hypnosis. It is not psychotherapy and is intended for healthy, everyday people who want to make personal changes such as quitting smoking, losing weight, better handling stress, relationship and career issues, improving skills, etc. My book The Hypnotic Coach explains how hypnosis and hypnotic coaching work in detail and will answer all your questions. You will receive a free copy at your first session (a $14.95 value). Will I give up control during hypnosis? Absolutely not. you gain control during hypnosis, easily making changes you want. People cannot be made to do things under hypnosis that they don’t wish to. No hypnotist or hypnosis can make you go against your moral/ethical code or self-interest. Anyone who can follow simple instructions can enter hypnosis. 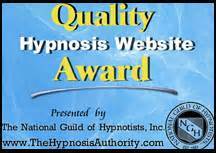 Hypnosis, hypnotherapy and hypnotic coaching are not contests of wills. They are a cooperative endeavor in which the hypnotist is a skilled guide, nothing more. The short answer is YES. Though individual results vary depending on a variety of factors such a motivation and aptitude, success through hypnosis can be startling. It may even help you make changes on the very first session. Multiple hypnosis sessions assure you enter a deep state of hypnosis. They reinforce and modify hypnotic suggestion according to your progress. Is hypnosis a distinct, measurable brain state? Recent research shows what that the effect of hypnosis on the brain is real and can be measured. Click here for more information. How much does hypnotic coaching cost? The number of hypnosis sessions required for dramatic, lasting change depends on the issue and your aptitude for hypnosis. Hypnosis and hypnotic coaching are brief interventions. You can accomplish amazing changes at each session. A single session of hypnotherapy costs $135 and includes a free CD recording of your actual hypnosis session. Multiple session discounts are available. I offer specific 3 session weight loss and stop smoking programs with proven results at $345. How many issues can I handle in a single hypnosis session? It is wisest to deal with one issue each hypnosis session. Exceptions are related issues such as smoking cessation and confidence, or weight loss and emotional security. How do you approach quitting smoking through hypnosis? I have developed a uniquely effective three session smoking cessation program. Click here for details. I handle weight loss hypnosis in three initial sessions designed to retrain your attitudes, habits and desires regarding food and exercise. Follow-up sessions on a monthly or bi-monthly basis until goal weight is achieved. Hypnosis is a tool: hypnotherapy is the use of this tool by a licensed professional. Hypnosis is a natural complement to traditional psychotherapy but should not be considered instead of psychotherapy for those with mental illnesses. Hypnotic Coaching is powerful support for personal empowerment and change but should not be confused with psychotherapy for diagnosed conditions. Do you offer “Advanced Hypnosis”? Absolutely. If what is meant is HypnoCoaching (combining coaching with hypnosis then yes – I even wrote the book on it The Hypnotic Coach with my colleague Dan Rose of Advanced Care Hypnosis in New Jersey recommended by Lisa Halpin the creator of HypnoCoaching® Certification). If what is meant is an in-depth approach customized to the individual and a brief, intensive intervention with lasting impact, then a very big yes again. NLP and hypnotism combined? Yes, I am trained and certified in that as well. It is unclear what some people mean by “advanced hypnosis”. There is no degree in it. And no genuine, accredited, residential school that seems to claim certification in advanced hypnosis. Have more questions about hypnosis? 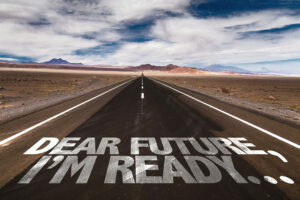 Whether hypnosis is right for you? Whether you will be easily hypnotized? Give me a call at 401-374-1890 and I will be happy to discuss your issues and how hypnosis might apply.